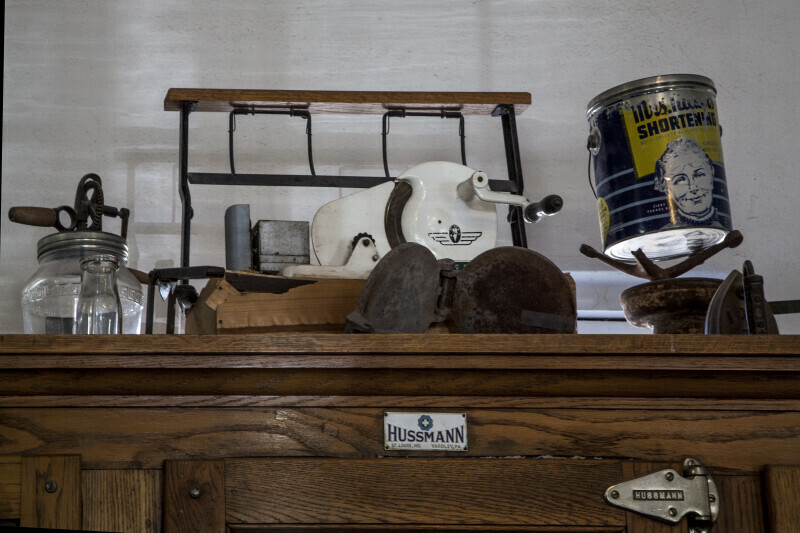 Pictured are sundry objects packed tightly atop a cabinet in the Castolon Store. One can see several hand tools, miscellaneous skillets, glassware, and a tin can which reads "Shortening." WARNING: You are about to download a 36.2 MB TIFF!